“Kids making Quilts for Kids.” Now in our third year of this project, we never imagined the interest and participation that would ensue. Our Family and Consumer Science teacher, Andrea Polakoff, loves to sew and conveys this skill to her students. As an honorary member of our chapter of the National Junior Honor Society, she felt we should embark on a service project that involved sewing. So the members of the NJHS made fleece hats, mittens, and scarves for the homeless. Everyone had a lot of fun but the cost of the materials prohibited us from continuing this project. During that summer, Polakoff and I heard about Quilts for Kids, Inc. 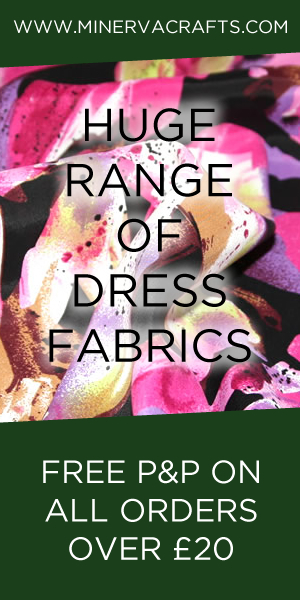 While placing an order at the Philadelphia Design Center, the founder, Linda Arye, an interior designer in Yardley, PA, noticed more than 20 industrial-size trash bags filled with discontinued designer fabric that were to be thrown away. Rather than see the fabric wasted, she asked if she could keep it and figure out a way to reuse it. 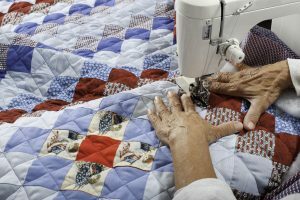 She came up with the idea of patchwork quilts to be distributed to comfort children with cancer, AIDS, and other life-threatening diseases, as well as battered and abused children. Quilts for Kids, Inc., was born. We contacted Ayre and went to her home to pick up some fabric. The excitement began that Monday morning when the students unloaded two SUVs packed with fabric. 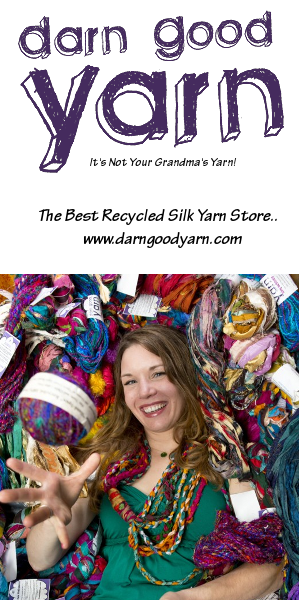 Our next step was to sort out the usable fabric, since rayon and silk were not washable. The students began reading labels. Next we asked for volunteers to take home fabric and wash and iron it. Fortunately several teachers came to the rescue. We found the sixth graders who were just beginning to sew loved to iron and sort the fabric by colors and textures. Finally we were ready to begin sewing. Although we are accomplished sewers, neither I nor Polakoff had ever made a quilt. We found a simple triangular pattern on the Internet, chose a committee chairperson to organize our after-school sew-a-thons, and began to sew. Those first few quilts were disastrous, full of holes or lopsided. Trial and error prevailed. By the middle of the year we had at least two designs under construction. Our assistant principal, John Baradjiez, was the first faculty member to sew a quilt. He never had sewn before but with some prompting from the students, at the end of two hours he finished his first quilt. 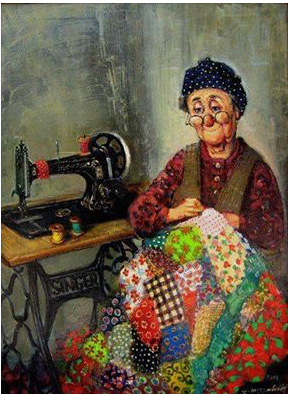 He has since made a second quilt. We ended our first year of quilting by delivering nearly 100 quilts to St. Christopher’s Hospital for Children and Children’s Hospital of Philadelphia. That summer, Polakoff and I developed a new curriculum for the eighth grade class. A service learning class would replace the usual course of study, although all the core material would still be covered. By doing this we allowed everyone the opportunity to make a quilt, not just the members of the Honor Society. We began each nine-week class by having the students research an aspect of quilting, community service, service learning, various illnesses that require a child to be hospitalized for long periods of time, and even child abuse. Each student had to write a one-page paper, give an oral presentation, and include some type of visual aid. We had a student write a song about the directions to freedom depicted in quilts on the Underground Railroad. Another student drew a patch that might appear on the AIDS quilt and several students made a quilt block and told of its history. 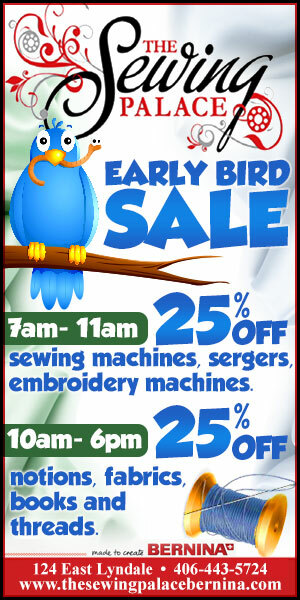 Our marathon sewing sessions were held once a month from 3:00 p.m. to 7:00 p.m. Most of the participants were members of the NJHS, but students from all grades, teachers, school board members, custodians, and parents often came in to help. Not every student was destined to sew a quilt. These students would take photos, serve dinner, or do quality control-in other words, cut threads and check for holes. Our fabric was donated but we still needed to purchase quilt batting and sewing supplies. We received several grants that enabled us to buy our supplies and even several sewing machines that were more suitable for finishing the quilts. Additional funds were raised by making quilts and raffling them off. Recently a grandparent was so impressed with the quilt his grandson had made he donated a huge roll of batting from his upholstery business. We have marveled at the actions of many of our students. One student who was frequently teased by classmates was the first to finish his beautifully crafted quilt. We were pleased to see the other students admire his work and then ask him for help with their quilts. The faculty in our school could not believe that another student who never worked in class was the first to finish an outstanding quilt. Students who are very talkative in their classes can be found hunched over a sewing machine, concentrating on every stitch, totally oblivious to their surroundings. We asked the captain of the football team to create a quilt with our school’s mascot, a Tiger, to be given to our new superintendent. He went on to make three more quilts. Each quilt has a tag that is signed by the student who made it. When we took the students to Dupont Hospital for Children and the Ronald McDonald House in Wilmington, DE, we saw our students graciously hand over their creations to the children and the social workers. They are so very proud of their work, and everyone in our school community is awed by the dedication of these young adults who give up time before and after school, sew on Sundays at a local quilt shop, and even take quilts home to finish on school holidays. One student made seven quilts this year and two former students are making quilts as part of their service project for graduation. Linda Arye tries to come to school when the students have finished their quilts and often tells them stories of how the children who receive them have reacted. It is common to see some teary eyes. Any school group that would like to begin a project like ours can go to www.quiltsforkids.org for information. Members of the NJHS chapter at Benjamin Franklin MS have given workshops on our project and are very willing to help schools get started. Articles About Best Rated Sewing MachinesSkip to content← Simple tips to Machinery Embroidery Applique TutorialsSeamstress gadgets can totally increase the speed of your clothing design. When you buy a machine for tasks that can be done by hand, it’s an investment that contains a certain amount of risk. You are purchasing equipment for something you can do yourself, but you’re choosing this path because you believe this will help you save time or money. Unfortunately, many people are not so happy with their investment, quickly finding out that the machine they bought is a pain to operate and gives them more problems in the long run. Such things happen mainly because a lot of companies include elaborate options into their merchandise so as to appeal to a super wide audience and quite often, to warrant a massive asking price. This is the reason the Simplicity manufacturer is acclaimed by a lot of people as it produces equipment that to some people may possibly seem to be low in options, nevertheless they do what they’re meant to do successfully as well as without any issue. In addition, the devices are usually extremely cost-effective. This distinct thinking is very evident in the Simplicity Bias Tape Maker, that exists to generate bias tape with small energy within in a short time frame.The appliance is really tiny in proportion yet still delivers every function a fashion designer would require for to easily create bias tape. 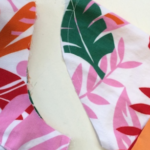 Any time a seamstress folds their unique bias tape, they are able to match up the bias with their fabric and they also spend less by creating the bias tape by themselves. This tool presses and folds pieces of cloth into ideal, equally flattened bias in merely seconds. The actual device also offers an ironing plate, so the material could be hard pressed to ensure the creases do not appear free. For the typical clothing designer, this really is everything that is truly required with regards to bias. By continuing to keep the performance of the device basic, the producer may also keep the cost low. When you are acquiring extra resources for your sewing needs, save this theory in your mind. Do not buy equipment that provide a lot of complex, lavish functions until you are actually sure you actually require all of them. It’s a lot smarter to buy equipment which do the task you desire finished effortlessly and with no fuss. They are not only simpler to work with and they’re also a great deal less expensive. Stacy Wallace blogs about bias tape makers. 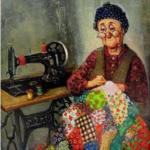 Her overall favorite tool is the Simplicity Deluxe Bias and Singer Sewing Machine. 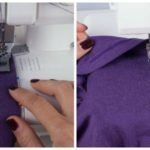 If you are a beginner, it is important to explore sewing from all angles. Being confident and gaining control as you stitch goes a long way in giving you a wow feel. The extra care, efforts and the time that you invest hold a key towards your success. 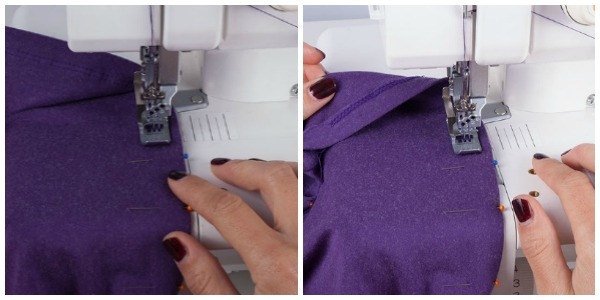 Here are a few tips that would allow you to sew with a better accuracy. It is essential to utilize a hand wheel when you turn around a corner or to begin or complete your stitch. On rotating the hand wheel, you gather a better precision so that you can carefully do your stitches one after the other. It is imperative to use the seam allowance guide to direct you while stitching. The guide aligned along with the needle plate allows you to identify the fabric edge. 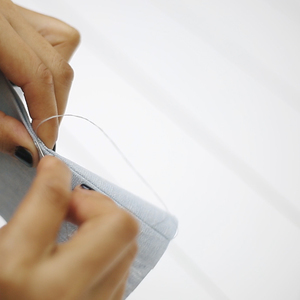 As you line up the fabric edge with the tool, you can sew with a regular allowance for a seam. In the case of an old sewing machine that does not have the lines, make sure to color code the most frequently utilized line. A colored tape or label just performs the trick. You can also shift the needle to a side to align the seam line. 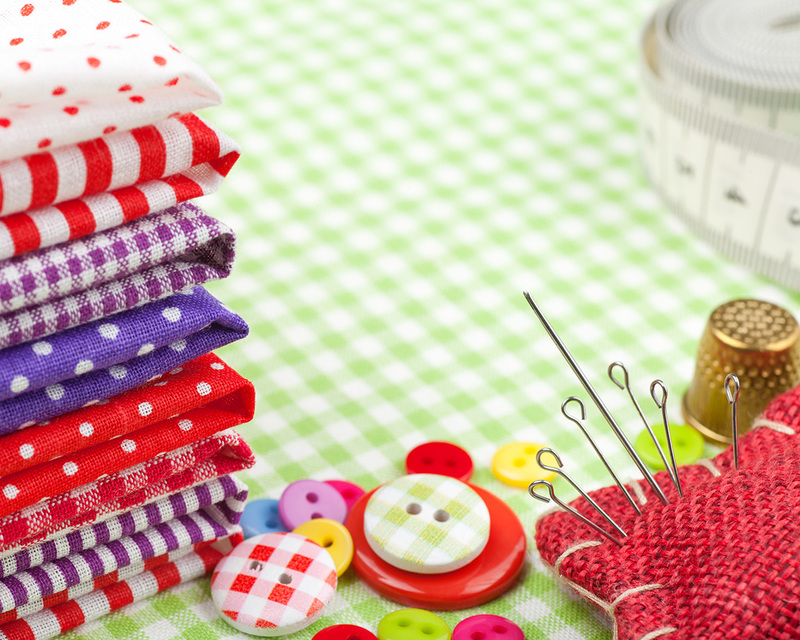 Follow these tricks to obtain a lovely and accurate sewing experience.